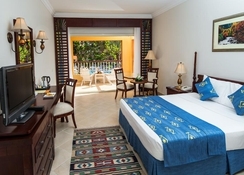 The 5* Caribbean World Resort enjoys a prestigious location on 140,000sqm of sandy beach along the crystal clear waters of the magnificent Red Sea. Offering tropical weather 365 days a year, superior beaches, ancient monuments, deserts and mountains the region has long been a favoured holiday destination for holidaymakers from all walks of life and enjoys a high percentage of returning visitors. 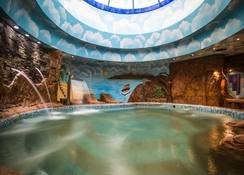 The resort itself offers guests a simply staggering amount of facilities, amenities and 1st class services in a warm, friendly and relaxed atmosphere giving guests the opportunity to relax and be indulged. Local tips: the Red Sea is fast becoming a preferred spot for divers around the world, join in the fun and experience the wonders under the waters for yourself by booking a course for yourself. Ask the reception staff for more information. Food, drink and entertainment: guests can chose from a range of dining options including the Caribbean restaurant featuring international buffet style dining with show cooking and themed menus; the Tortuga Beach Grill restaurant offering much favoured grills at the beach; the Barbeque restaurant features a fabulous array of meat and fish all freshly cooked on the barbeque and the La Palma Italian restaurant specialising in fine Italian cuisine (reservation required). 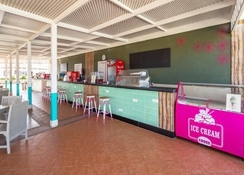 Lighter meals and snacks are available from the Aladin Café & Shisha Corner featuring Oriental dishes and Shisha, the Jamaica Snack bar poolside and the Cuba Beach & Disco bar (summer time) offering an endless supply of drinks and snacks at the beach. Drinks are served throughout the day from the Caribbeano Lounge & Disco bar, Cuba Beach & Disco bar, Aladin Café & Shisha Corner, Jamaica & Snack bar, Melody Gazebo bar and Aloha Lobby bar. A full and varied entertainment programme includes beach parties, disco, live shows and live music. Sports, games and activities: 3 outdoor swimming pools (1 heated), spacious sun terraces with ample sun loungers and parasols, lush gardens, table tennis, diving centre, windsurfing centre, water sports, floodlit tennis court, beach volleyball, basketball, billiards, amphitheatre, beach football, jogging, aqua park, darts, boccia, multi purpose sports court, water polo, full service health club featuring sauna, steam, Jacuzzi, well equipped fitness room, open air massage, Paradise Spa featuring indoor swimming pools, manicure, pedicure and hairdresser, face, body, health and beauty treatments including hydrotherapy, aromatherapy, acupuncture, shiatsu, reflexology, hot stone massage and mud therapy. 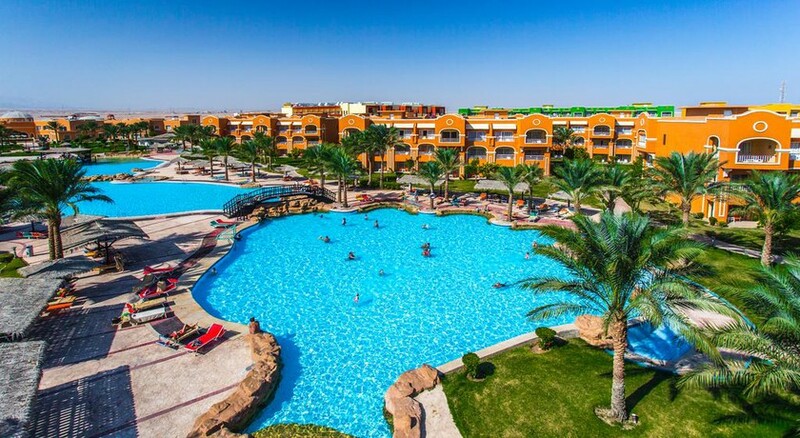 For the kids: kids outdoor swimming pool, kids playground, kids entertainment programme throughout the day and evening, featuring all manner of activities, games and competitions around the resort including the beach and the Solino Beach club, mini disco. 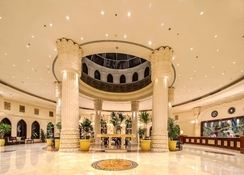 Additional: 24 hour reception, currency exchange, car rental, shuttle bus to Hurghada (local charge), babysitting service, on site shopping arcade, medical clinic, internet corner/café, bank/ATM, flower shop, housekeeping, maid service, laundry/dry cleaning service, function/meeting rooms with audio/visual equipment, banqueting facility.